CANCELED DUE TO CAMPUS CLOSURE. SEE YOU NEXT WEEK! Join us every Thursday night to be part of a community that encourages honest, thoughtful exploration of spiritual issues. 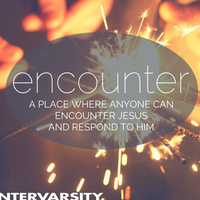 Encounter is a place where anyone can encounter Jesus and respond to Him.